Read a post somewhere about microfiction and twitfic, and I wanted to try my hand at the form. For me, Twitfic, being limited to 140 characters, felt extremely restrictive and I found it difficult to convey a discrete emotional event adequately. Of course, that’s just me and others have tried it with varying degrees of success. I much preferred the slightly longer forms with word limits rather than character limits. I set myself an arbitrary goal of one hundred words or less, and took a stab at it. It seems possible to convey the sense of a scene (though not the details) within this framework. I found the task invigorating. It’s extremely easy to write 150 to 200 words off the top of your head in a few minutes, but editing and polishing to meet the requirement is much harder. I get the feeling that these little vignettes could be ideal starting points for fresh plots and other story ideas. 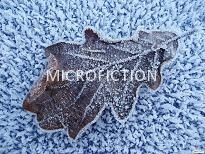 I’m going to try and post two or three items a week on this blog, calling them microfiction items. If you find them interesting, let me know. If you find them boring, let me know also. I’m curious to know find out many of these you can produce before running into a wall. I can’t believe there are endless possibilities within a 100 word framework. In the strange half light before darktime, shadows play tricks on the mind. In spite of her mind shield, Merith stayed in the middle of the path, which seemed to get steeper as she walked downhill. Her two mile trek from Tarryn to Commune had started in the bright of middle lighttime, but a hidden root and a twisted ankle meant she was still hobbling homewards with a half mile left to go. It was nearly darktime, and darktime belonged to the Aenids. The Aenids were a complete mystery to Merith’s kind because no-one had survived an encounter with them. This entry was posted in Micro Fiction, Writing and tagged microfiction by bryanknower. Bookmark the permalink.